ZEPHYR COVE — Nevada Congressman Mark Amodei, R-Carson City, recalled cleaning toilets at Sand Harbor. Chris Bently, chief executive officer of Bently Enterprises, said his first sunburn happened on the beaches around Round Hill Pines Beach as a kid. Those were some of the stories business, state and federal leaders referred to during the 2015 Lake Tahoe Summit at Round Hill Pines Beach on Monday. All presenters agreed that action must be taken to preserve Lake Tahoe for future generations. Elected leaders also reflected on the need for greater partnerships, as well as proactive fire prevention measures. “Wildfire, drought and aquatic invasive species pose a threat to the lake,” said Nevada Lt. Gov. Mark Hutchison in the opening statement. The summit, themed “Connecting Lake Tahoe’s Environment and Economy Through Innovation and Transportation,” focused on managing the crowds that flock to the sunny beaches and chilly waters of the alpine lake. 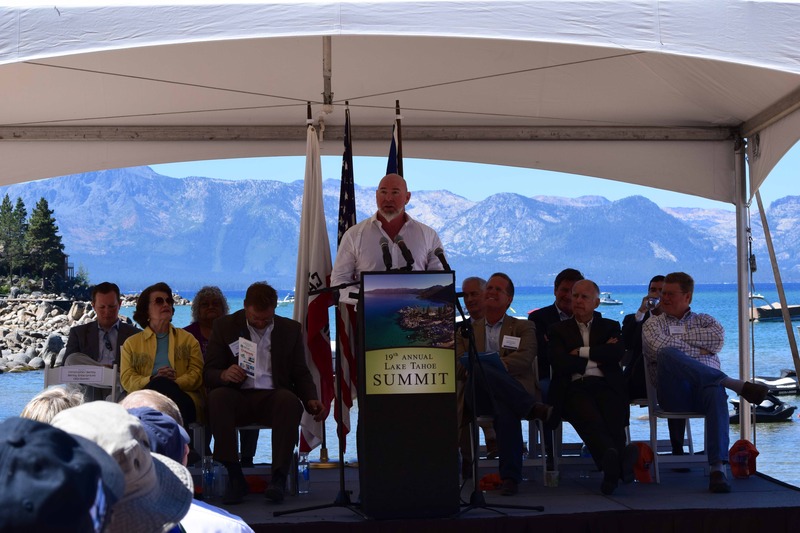 All the speakers at the summit agreed that partnerships are essential Lake Tahoe’s continued success and protection. Bently, CEO of Bently Enterprises, pointed to the public/private partnerships that have helped shape transportation at Tahoe, including $400 million in Douglas County. He said what the private industry can’t offer is the needed public infrastructure, so partnerships are necessary. “We have an opportunity to start new and rebuild in a proper manner in a way the world will recognize and continue to visit,” Bently said. “This system is making a great difference,” Heller said. Both Hutchison and Gov. Brown additionally noted partnerships between states have increased in the last few years. Hutchison said this should continue to extend to all stakeholders to protect Lake Tahoe. “I’m confident that we share this commitment and look forward to working together to make sure Lake Tahoe one most beautiful,” he said. From the outside the Minden Farmer’s Bank exudes the stability of an institution originally built nearly a century ago to inspire confidence. On the inside, a halo of light adds a more modern sense, reflecting its new role as the headquarters of Bently Enterprises. Invited guests toured the building on Monday prior to Tuesday’s public opening of the structure. Greeted by a conference table featuring the vault door under glass, visitors climbed the stairs to the second level where Bently employees work among dark wood. The halo of light is provided by industrial strength solar tubes installed on the building’s roof that gather sunlight and disperse it through the offices. The building is powered by 30 kilowatts of solar panels at the top and its climate stabilized by tubes sunk 300 feet into the earth that provide a constant 57 degrees, according to guide Russell Simms. Wooden floors favor renewable resources, such as the original oak on the lower floors, or Philippine red balau batu on the roof. Simms said Wi-Fi is available through the building, including on the roof, where employees can work quietly, or just enjoy the view of most of Minden. On Tuesday, there will be a Minden Street Celebration on Esmeralda Avenue from 4 to 6 p.m. The Farmers Bank will be open to the public 3-6 p.m. The Carson Valley Historical Society and Dangberg Home Ranch will be hosting a lemonade stand where you can record your favorite memories of Minden. The award-winning renovation of this building was carefully overseen by Christopher Bently, JP Copoulus Architects of Carson City, and NicholsBooth Architects of San Francisco. The Farmers Bank Building is applying for LEED Platinum certification, which would make it the sixth nonresidential space in the Silver State to have attained the highest possible certification, and one of only a few historic buildings nationwide to have achieved the US Green Building Council’s highest certification. Minutes later, his golden shovel broke the ground in front of the Minden Silos, officially kicking off work on the much-anticipated Bently Heritage project. 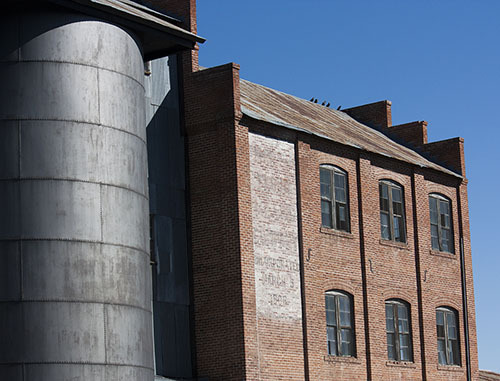 The Minden Flour Mill and Minden Creamery buildings, both listed on the National Register of Historic Places, are being restored. Miles Construction, the firm selected to manage the project, is working closely with Bently Enterprises and the State Historic Preservation Office to ensure the buildings’ historic value is preserved throughout the restoration and conversion to a distillery. When entrepreneur and Bently Enterprises CEO Christopher Bently saw 240 Stockton Street in San Francisco’s Union Square, the building’s exterior was peeling, there was a quarter inch of dust on the stairwell, trash was piled up inside and discarded furniture filled the basement. Today, the 10–story structure is the LEED–certified architectural showplace known as Bently Union Square thanks to the fact that the CEO of Bently Enterprises acquired the Art Deco building and restored it to its former glory in an environmentally–friendly fashion. This dynamic and progressive business leader with a penchant for revitalizing historic properties—including San Francisco’s old Federal Reserve Bank, now called the Bently Reserve–has taken on his most ambitious projects to date: preserving his native Minden, a historical town in Nevada just east of Lake Tahoe, and the creation of Bently Heritage, an estate distillery that will produce farm–to–flask spirits crafted exclusively from local ingredients grown on Bently Ranch. 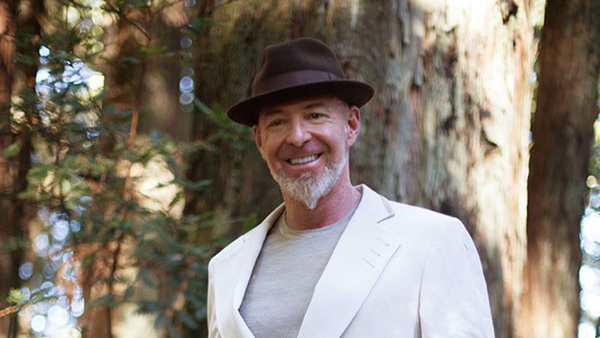 Here’s how this music–loving philanthropist navigates his days while splitting his time between homes in San Francisco and Lake Tahoe. 6:30 A.M When I get up, I like to really ground myself and not do anything before I engage, because once I engage, it’s all over. I work out, stretch and enjoy my coffee and juice. I make myself a fruit smoothie with pineapple, grapefruit and blueberries. 8 A.M I’m ready, and feel like I’ve said hello to the day properly. I start to integrate myself into the tasks at hand and that starts with checking my computer and then making some phone calls. 12:00 P.M I leave for the San Carlos Airport and fly straight to the Minden Airport. Last year I bought an airplane—a King Air 350—and it was the best decision I [have ever] made because of the time I save traveling. I looked at a dozen different planes and chose that one because of its environmental impact, which is much less than any other plane. I’ll bring a sandwich with me and eat lunch on the plane. 1:30 P.M I land in Minden and go right to work. We’re awaiting permits from the county and city for the distillery, and we’ll hopefully break ground this summer. I also have a very large ranch that grows natural [crops], and we’re two years into a three–year mission of moving most everything to be certified organic. 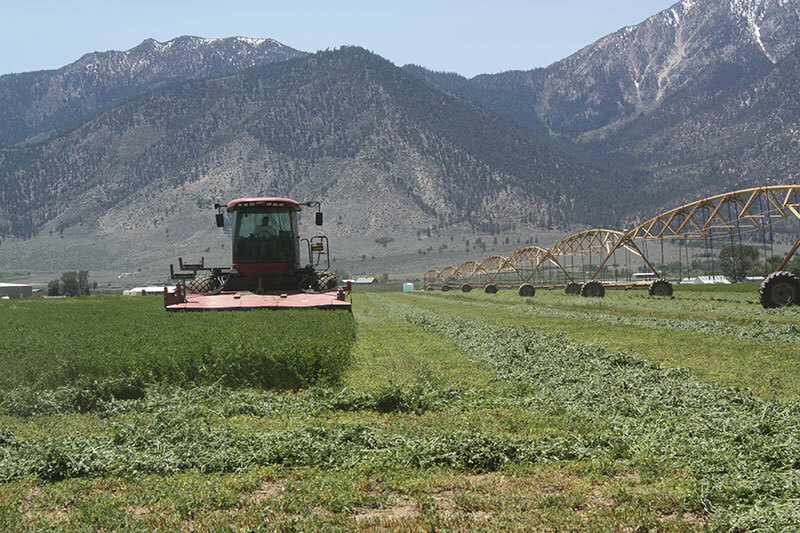 Primarily, the agriculture is alfalfa for cattle, and I raise cattle. 7:00 P.M My fiancée Camille [Crowder] runs my foundation, which we launched last year. She travels with me 99 percent of the time. She’s an amazing, organic chef, so I just stay out of her way—I’ll clean up and do dishes afterwards. 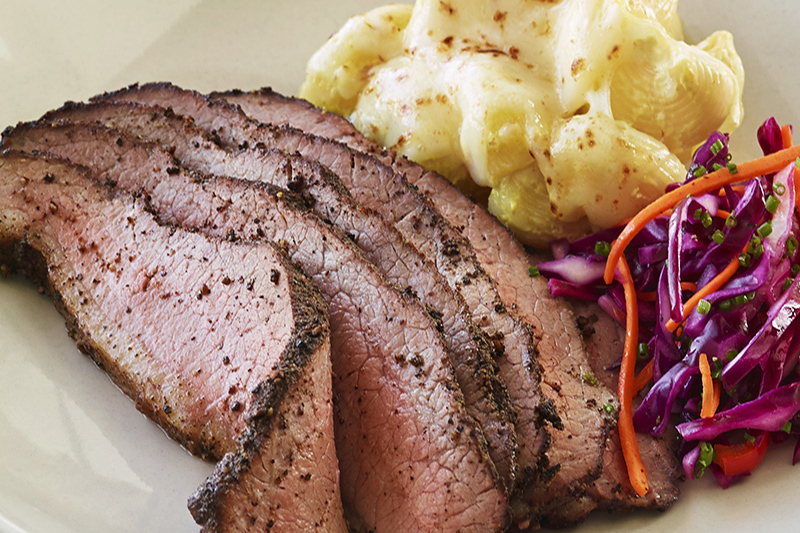 When we’re in Nevada, we’re cooking at home pretty much exclusively because when you live in San Francisco and you’re used to eating out here, there’s nothing like that in Nevada. 9:30 P.M I might sample a new Scotch that I just got by the fire as I continue to develop my taste profile for what I want to make when we’re open and distilling. I’m a firm believer of no televisions in the house, but we do have a movie theater and love to watch movies or a show like “Game of Thrones,” which is like a movie. I’m a musician and Camille is also a music lover; we’ll listen to music or read. 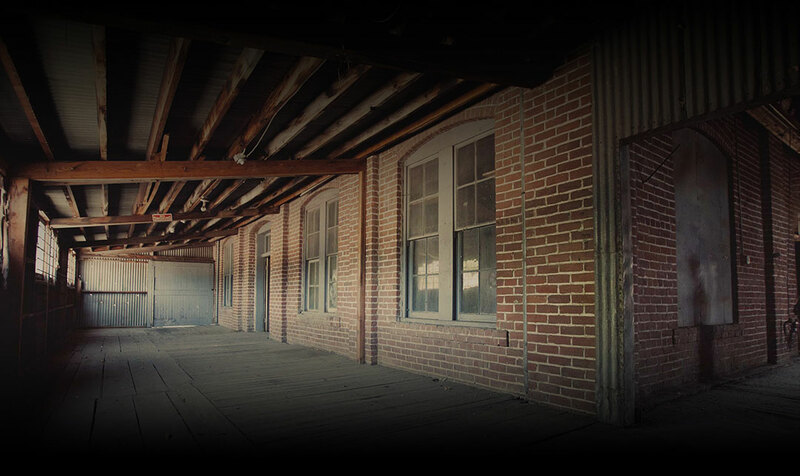 We’re both night owls, so we’re up until midnight or 1 a.m.
Before the Minden Flour Milling Co. building can begin life anew as a distillery, Bently Enterprises will preserve the iconic structure’s past. This summer renovations will start on the 109-year-old building and surrounding edifices, including the adjacent creamery building designed by Frederic DeLongchamp, the famed architect and Reno native who designed the Washoe County Court House, Reno Post Office and the Nevada-California-Oregon Railroad Depot that recently reopened as The Depot Craft Brewery Distillery. The buildings will then be turned into the Bently Heritage Estate Distillery, a maker of whiskey and gin and one of a handful of artisan brewers launched in Nevada since passage of a craft distillery law in 2013. In the meantime, Bently has been working with the state historic preservation office, a videographer and an engineering historian specializing in flour mills to identify, catalog and preserve more than two dozen pieces of equipment that tell the story of the building’s beginnings. The goal is to safeguard an important piece of Carson Valley history as well as to enable the new distillery to qualify for the Federal Historic Preservation Tax Incentive, which helps to reduce the cost to rehabilitate and adapt income-producing, historic properties. “It’s a three-step process for certification,” said Jim Bertolini, national and state register coordinator, State Historic Preservation Office for Nevada, which is assisting Bently with the application. First, the property has to be deemed historic. The Minden Flour Milling Co. building has been listed on the National Register of Historic Places since 1978. Next, the project as planned must meet the standards of historic preservation set forth by the National Park Service, which with the Internal Revenue Service administers the tax incentive program. Finally, once the project is completed, it is evaluated to be sure it meets the standard before receiving a rehabilitation tax credit. To help in the process, Bently found Bob Frame, a historian whose doctorate thesis was on the flour mills and who is currently writing a book on Minnesota flour mills for the University of Minnesota Press. Frame arrived a week later and spent a day and a half examining the building’s equipment and talking with representatives from Bently and the state historic preservation office as well as Justin Owensby, a videographer who is documenting some of the renovations of Minden’s historic downtown. What he found was a typical, early 20th century local flour mill with a few surprises. The first surprise was the roller mill, a commonly-used machine for milling flour, made by E.P. Allis & Co., a famous Milwaukee machine maker. Frame said when he looked inside he found corrugated rollers, which immediately told him something about the mill’s history. Frame said the Minden mill was one of only about a dozen local flour mills in Nevada and one of the largest. It was small to average sized, producing about 100, 196-pound barrels in a 24-hour day and likely contained four or five roller mills when it was producing flour. 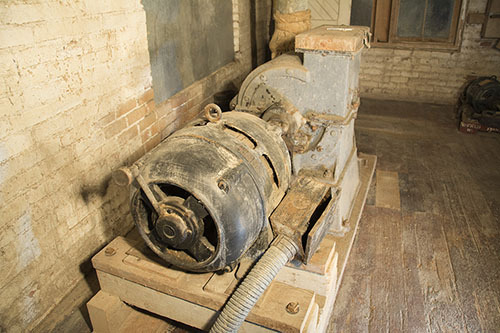 Only the one roller mill remains and Bently plans to display it and some of the other artifacts in the new distillery. Another surprise for Frame was a barley mill, which he said likely pre-dates the building and remains unexplained. “It’s a bit of a mystery machine,” said Frame. Eventually, like all mills, the Minden mill slowly switched over to milling grain for feed rather than flour around the time of the Great Depression, when transportation made it easier to ship flour. By the 1960s it stopped operating, possibly before 1967 when Don Bently bought his ranch and planted deep roots in Carson Valley. On Tuesday, Bently Enterprises started the removal of historic machinery from the more than 100–year–old Minden Flour Mill Building, soon to become Bently Heritage Estate Distillery. 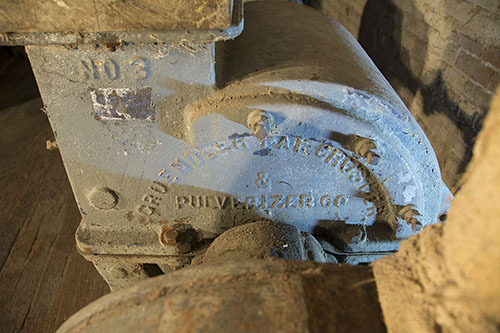 During the spring and summer of 2014 the 25–30 pieces of machinery inside the Mill Building were meticulously cataloged, and photographed. There are more than 1,000 photos of the equipment. Additionally, floor plans were created showing the exact location of the machinery inside the building. Removal of the historic equipment will take 3–4 weeks. The Bently Heritage distillery construction is anticipated to begin in April 2015. Bently Enterprises bought the property in July, and beginning next week will be tearing it down to make way for Railroad Park, a pedestrian entryway to Bently’s Heritage District. Bently Enterprises anticipates completion of this project in 2-3 weeks. Bently Enterprises is beginning the much anticipated renovation and construction of Bently Heritage, a sustainable estate distillery whose new home will be the more than 100-year-old Minden Flour Mill and Minden Creamery buildings. 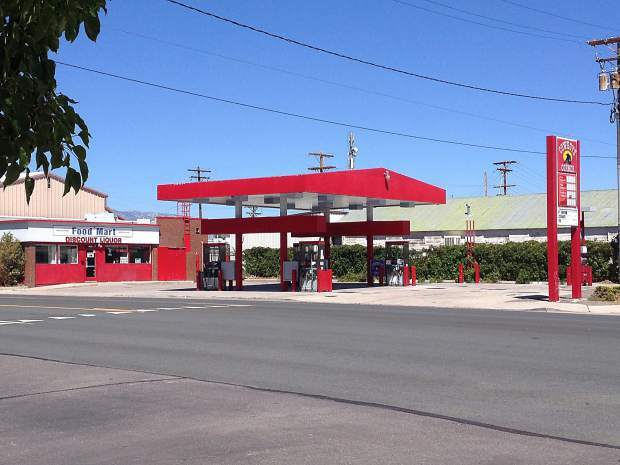 In late July 2014, Bently Enterprises purchased the Cowboy Corner gas station adjacent to the Mercantile Building on Highway 395, as a creative solution to enhance the pedestrian experience from Main Street through the Heritage District. Beginning the week of September 22nd, the Cowboy Corner gas station and store will be demolished, including the canopy and pumps. The site will be cleared of all materials, utilities, and concrete, and the underground storage gas tanks will be excavated and removed. Bently Enterprises is working closely with the Nevada Department of Environmental Protection (NDEP) to ensure the proper disposal of the gas tanks. Additionally, the onsite material including all metal, concrete and brick, will be recycled using LEED certified methods. Once the site has been cleared, the area will emerge as a clean, flat surface created out of crushed recycled backfill dirt. 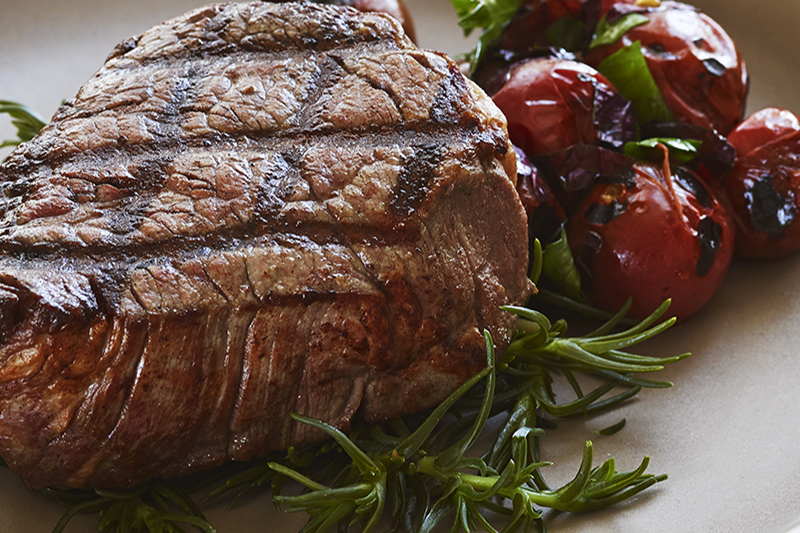 We’re delighted to open Bently Ranch Meats’ official online store after an incredibly successful sales period through our local and wholesale channels. 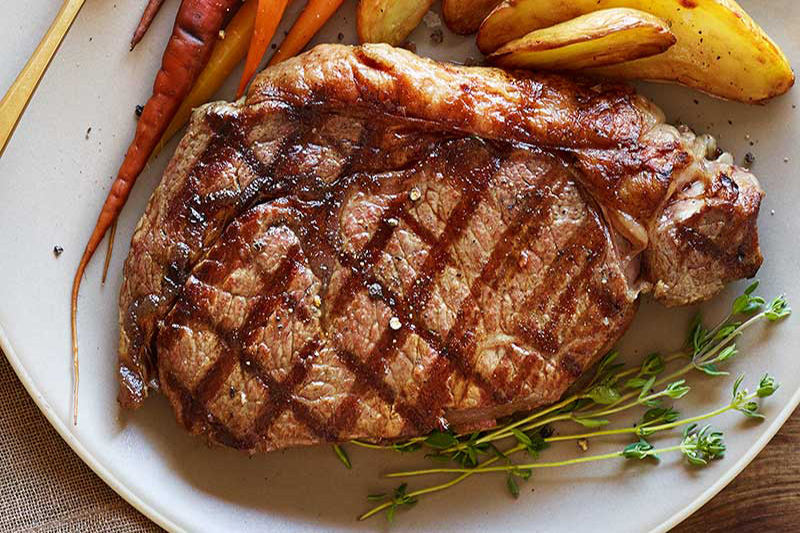 We’re pleased to know our delicious, high–quality meats can now be a part of everyday family gatherings as well as special occasions across the country. Matt McKinney, General Manager of Bently Ranch. 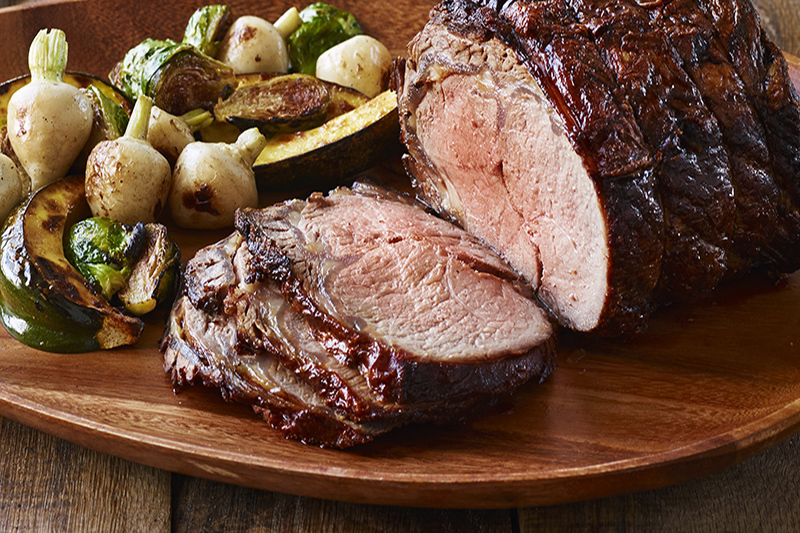 Products from Bently Ranch Meats are currently available for purchase online and from the ranch office. For more information, please visit the Bently Ranch Meats store at bentlyranch.com or call 775.782.4513. For more information about Bently Ranch, please visit Bentlyranch.com. Christopher Bently, a local entrepreneur and businessman, announced that he is converting the Minden Flour Milling Company building & a National Registered Historic Place & into a craft distillery named Bently Heritage. The new distillery will be one of the first operating in the state since Assembly Bill 153 was passed earlier this year, allowing local distilleries to operate. This puts Bently Heritage in notable company with fellow Silver State artisans as well as landing Minden at the forefront of a burgeoning new industry. Bently Heritage will live up to its name by reintroducing the best traditions of the Old West, while embracing New West values such as sustainability and premium quality. Before the Civil War, the Silver State flourished with small distilleries that were supplied by the abundant wheat, barley and hops. Like these distilleries of the bygone West, Bently Heritage will use only locally grown greens: winter rye and other plants will be harvested from the land of its sister company, Bently Ranch. The ranch itself operates in the cowboy tradition, but employs cutting-edge sustainability measures. Bently Heritage’s home in the historic Minden Flour Milling Company, right in the heart of Minden, does more than just dramatize the new distillery’s pride in tradition — its location will contribute to Minden’s continuing revitalization as well as preserve the town’s rich heritage. With the idea of preserving its heritage the company is working on refitting the building to LEED Platinum standards — the highest rating in Leadership in Energy and Environmental Design (LEED) certification principles. Bently Heritage’s goal isn’t just to produce artisanal-quality spirits, but to set a new standard for sustainable production in the state of Nevada, thus innovating an industry while revitalizing the craft distilling tradition. As a longtime member of the Carson Valley community, I’m excited about its future,” Bently said. “Revitalizing the area shouldn’t mean building subdivisions and big box stores. The way forward lies in innovation, preservation of the area’s colorful past, and the conservation of its wide open spaces. I will make every possible effort to preserve this natural beauty, while working to reinvigorate its economy. Bently Heritage will be emblematic of everything I believe in: a first-class, hand-crafted product that preserves local history while embracing tradition. As an avid environmentalist, Bently insists on nothing less than exemplary green operating fundamentals in every one of the Bently Enterprises companies. 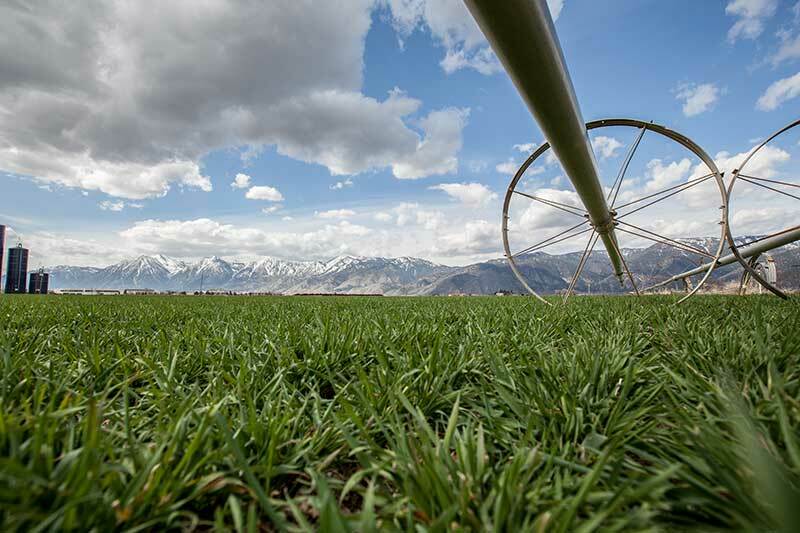 Along with producing [biofuels] and investing in green technology, he is creating a fully organic and sustainable ranching practice in Nevada’s beautiful Carson Valley.